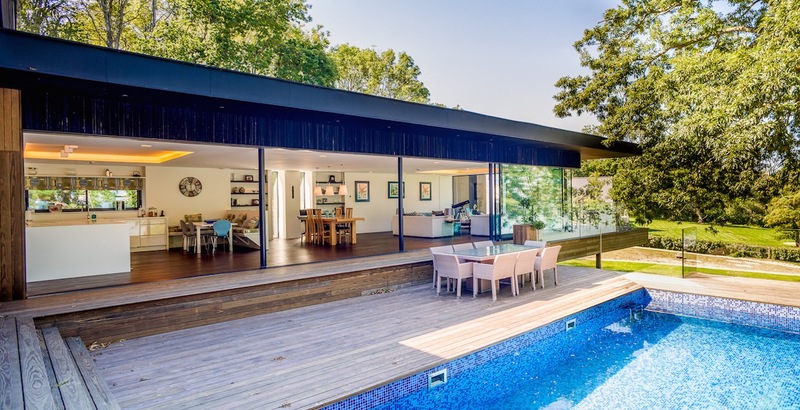 Lincoln Miles needed to create a huge, nearly 7,000 square foot house that blended into the surrounding trees and sloping landscape. The house, inspired by Mies, is set into different volumes which have been set into the earth and cantilevered to float amongst the trees. 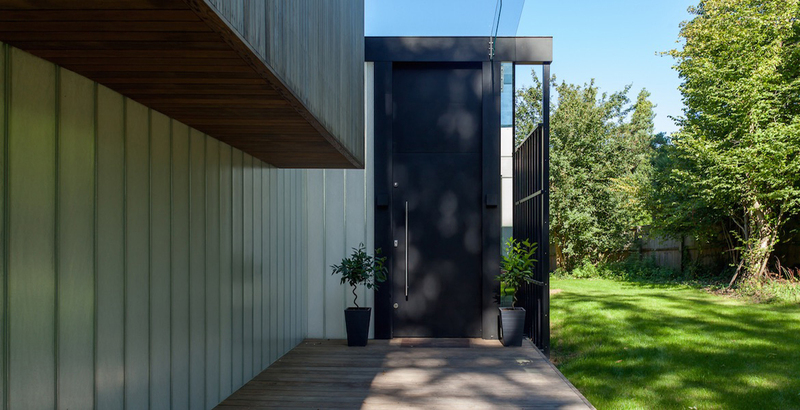 The whole residence is clad in timber and paper, which play with the light and shadows from the surrounding foliage. Many designers over the years have wanted to use Richlite offcuts in an architectural application, but until now, no one had ever been brave enough to try it. Strips of the edge trim from the compressed paper panels were glued together on boards in this pioneering project. 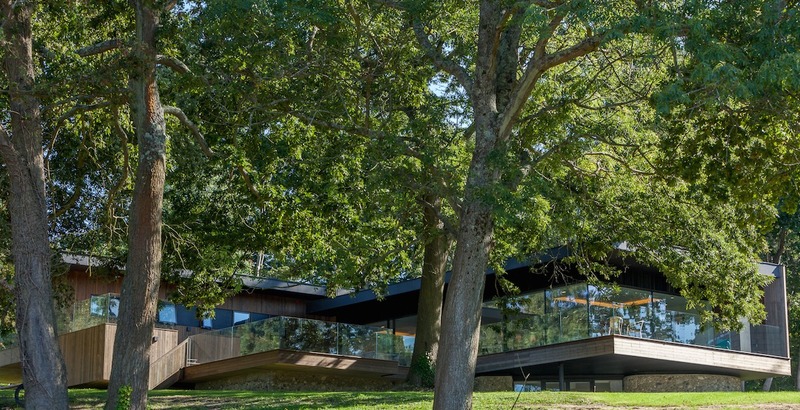 The cladding mounted seamlessly to the façade, creating deep colour and texture that mimics the trees. Lincoln says ‘If I could have cloaked the whole building in paper – I would have’. 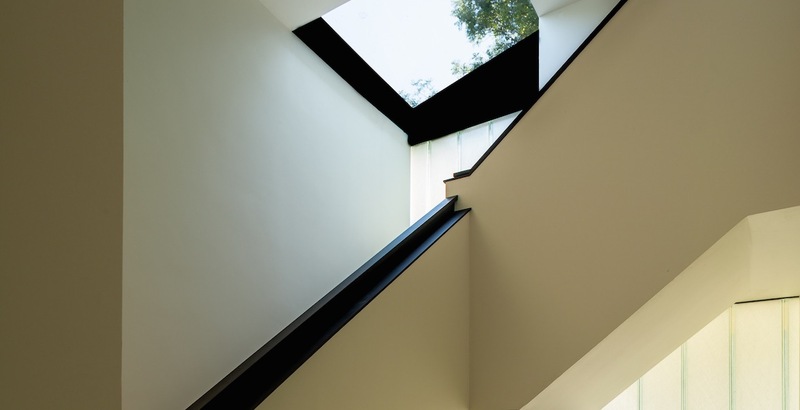 This is the second Grand Designs project from the inventive designer, you can see more of the house on his website and on Channel 4.